Noah and Violet, treasure hunters and protectors of the Overworld, are back in this fifth installment of the League of Griefers series. When skeletons corner Noah and Violet, the duo escapes through a portal to the Nether. 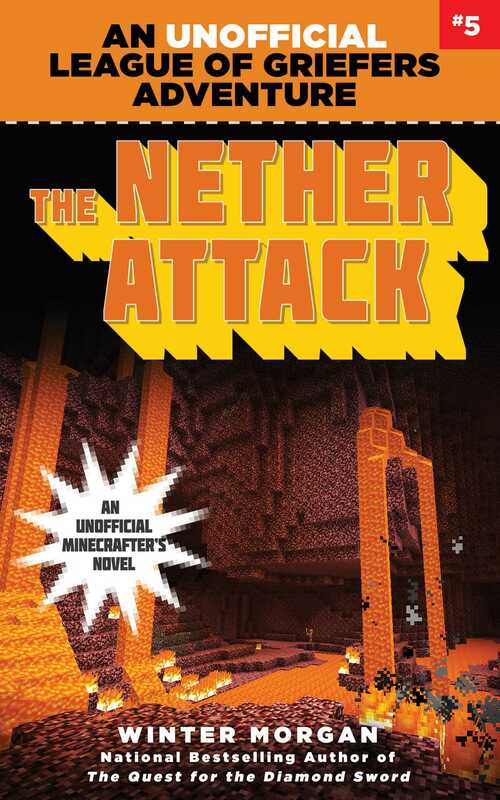 Trouble brews as Noah accidently leaves the portal open and the mobs from the Overworld enter the Nether. Noah and Violet must battle hostile mobs from both worlds to survive. Taking shelter in a Nether Fortress, they befriend treasure hunters who help them battle the mobs. Just when they think they are about to defeat the mob attack, they realize their new friends might be setting them up for a bigger attack in this story of trickery and friendship. Are Daniel and the rainbow griefers behind this? Or is it an even more sinister enemy? Find out in this thrilling fifth installment of the League of Griefers series! Sky Pony Press, with our Good Books, Racehorse and Arcade imprints, is proud to publish a broad range of books for young readerspicture books for small children, chapter books, books for middle grade readers, and novels for young adults. Our list includes bestsellers for children who love stories told with LEGO bricks, books that teach lessons about tolerance, patience, and the environment, and much more. We also publish books for fans of Minecraft and Pokemon GO, including books full of useful hacks, tips, and tricks, as well as Minecraft adventure stories for readers who love the fight of good vs. evil, and magical academies similar to Hogwarts in the Harry Potter saga. While not every title we publish becomes a New York Times bestseller or a national bestseller, we are committed to books on subjects that are sometimes overlooked and to authors whose work might not otherwise find a home.